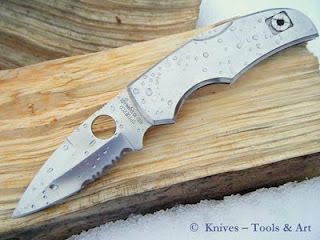 A rigid folder with the powerful look of getting the job done. 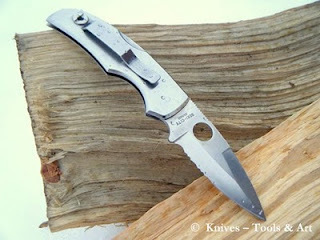 The knife is quite heavy but the tip up carry clip makes the knife carryble. 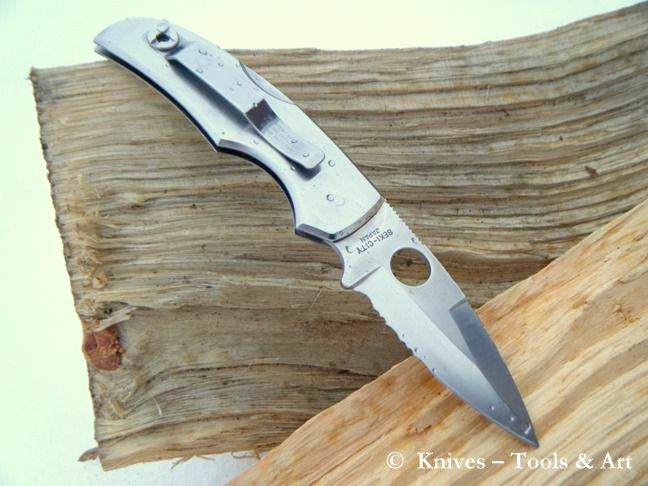 The carry clip can be mounted on either side of the handle pending if you are right or left handed. I like the Spyderco C41 Native's clean rough design. This model is now a days discontinued.